appointed over his head, one that to his chagrin fits in very well. Note: Loretta Swit and Gary Burghoff did not appear in this episode. Hawkeye finds out that due to clerical error, he has been declared dead. matter either to get word to him or to establish that he's alive. a tank to scare off snipers for an unauthorized shot of penicillin. Note: Loretta Swit and Jamie Farr did not appear in this episode. Note: Jamie Farr did not appear in this episode. for him and Radar rescues a horse and makes him a present of it. the same time has to deliver a baby and care for battle casualties. Fudge) who says he's Jesus Christ. visit of a formidable chaplain (Ned Beatty), and one of Frank's goof-ups. week of R&R in Tokyo, and Klinger and Radar go all out to win the honor. Frank is supposed to choose the winner, but he contracts a rare fever. B.J. play a hunch and bluff Frank, who has it, into returning it. Burns asks for something in return. inspection and Colonel Potter gets some shrapnel in his backside. friendly to him; they oblige, with some startling results. Note: Alan Alda is the only regular in this episode as he goes solo. understand a word he's saying. Richard Lee Sung	... 	? Note: Loretta Swit did not appear in this episode. Potter was away on leave and Frank was the C.O. Michael A. Salcido	... 	? want to quit and a twice-wounded GI (Dennis Kort) who does. 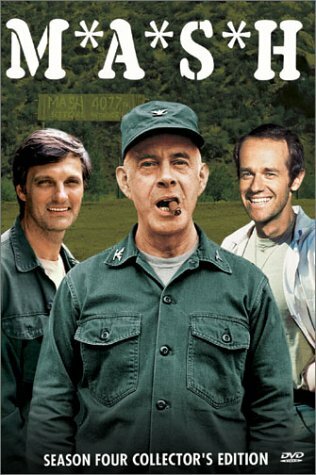 Note: Loretta Swit and Larry Linville did not appear in this episode. that she is now married.